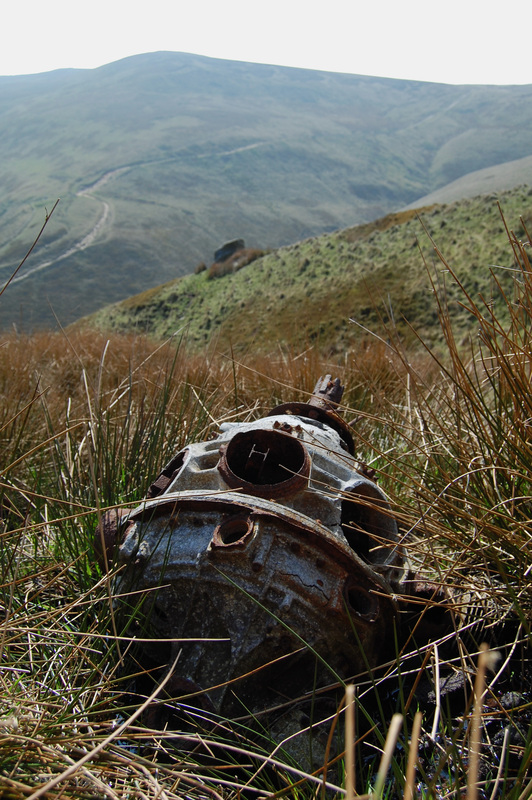 Cheetah engine at crash site of Avro Anson NL185, Kinder Scout, Peak District. Flown by Wing Commander Richard Douglas Speare, DSO, DFC and Bar, Croix de Guerre with Palm. Wing Commander Speare had 9 years flying experience when he was killed in a crash on 23rd November 1945, during what should have been a short routine flight; he was taking leave and flying from near High Wycombe to Norfolk, 70 miles to the North East. 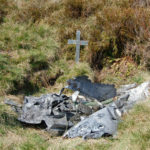 Somehow he was 118 miles to the North West when he crashed on Kinder Scout in low cloud. It was a mystery that so accomplished a pilot as Wing Commander Speare could make such an error. He saw the hill at the last moment and had evidently tried to climb above it, but to no avail, and he was killed instantly. He was 29 years old. Wing Commander Speare had distinguished himself during the war, flying agents into occupied Europe. He was highly decorated (as you can see!) and was Mentioned in Despatches. See this link for 3 terrific portraits of Wing Commander Speare and an account of a skirmish between a Halifax piloted by him and a Ju88, over Denmark. 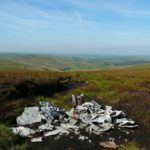 Details from PEAKLAND AIR CRASHES – THE NORTH by Pat Cunningham. 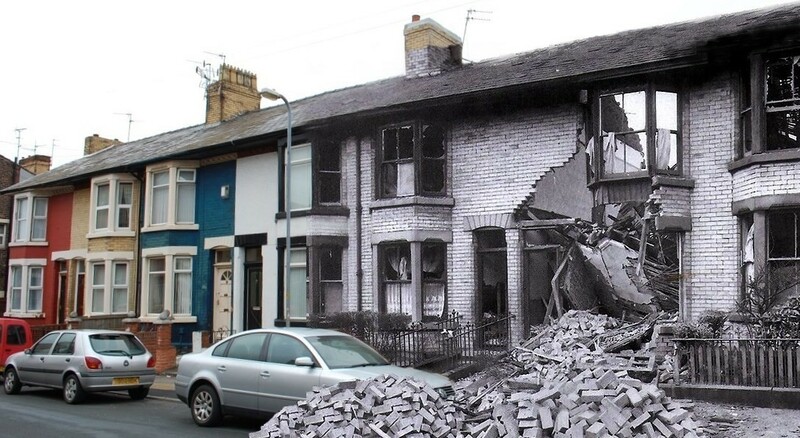 Very interesting reading and a great picture. An excellent image of the engine and the location.